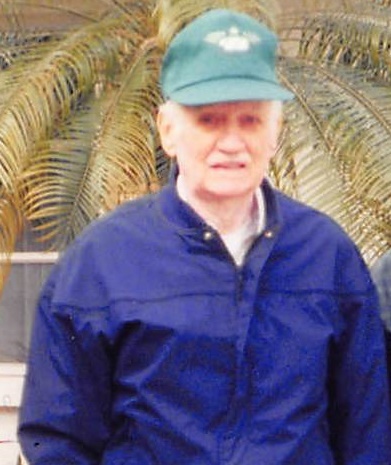 Robert Dale Farley, age 98, of Bradenton, FL, passed away peacefully on Monday, March 11, 2019. He was born in Indianapolis, IN on June 17, 1920, the son of the late Warren Kerwood Farley & Katherine "Kittie" Mae (Casner) Farley. Mr. Farley moved to Bradenton in 1984. He was retired from Reliance Electric Company in Columbus, IN as a tool setter. He was a member of the Solsberry Christian Church. He served with the United States Army Air Corps, Sixth Air Force, 26th Fighter Command during WWII. He was a life member of Kirby Stewart American Legion Post 24 in Bradenton and a charter member of the Veterans of Foreign Wars Post 6948 in Bloomfield. He is survived by friends, Lorene Floyd of Linton and Geraldine "Gerri" Nutter of Pompano Beach, FL. Robert is preceded in death by his sister, Dorothy Floyd; Dorothy's husband, numerous cousins and friend, Carl Floyd. A graveside service will be conducted Friday, April 12, 2019 at 1:30 pm at Antioch Cemetery in Bloomfield. Memorial contributions may be made to the Greene County Humane Society, 1026 N 1375 W, Linton, IN 47441. Arrangements are in care of Welch & Cornett Funeral Home in Linton.